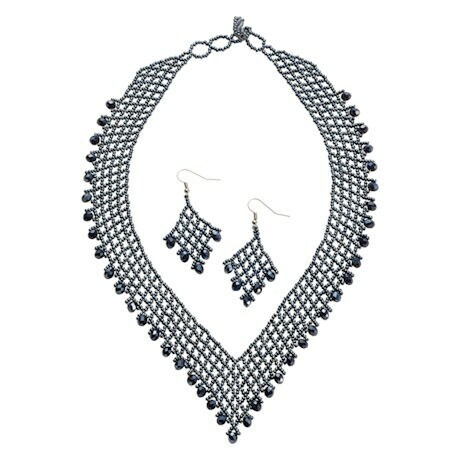 Beaded by hand, row after row, edged with faceted beads, lightweight necklace (XB7222-sold separately) forms a graceful V around your neck. 1" wide, adjusts 18"-21". 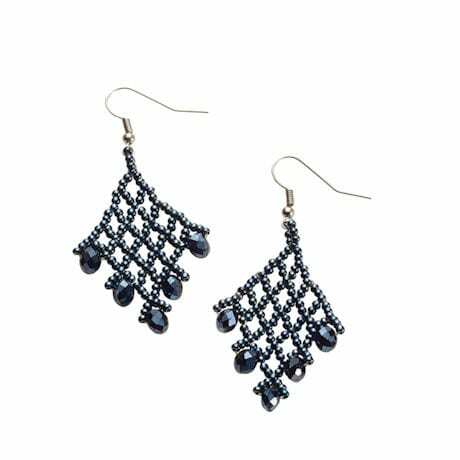 Coordinating earrings (XB7232) hang 2". 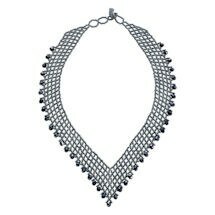 The beads and crystals are the color of hematite, which goes with everything. Glass seed beads with crystals on the ends. Hypoallergenic surgical steel earwires. Fair Trade items, handmade in Guatemala.